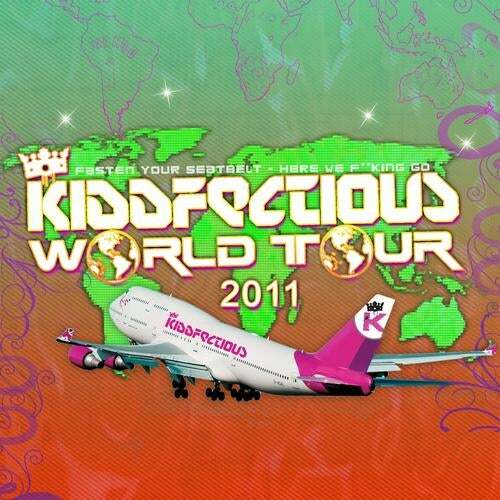 2011 see's the return of the Kiddfectious World Tour .. Fasten your seat-belts and get ready to make some noise! With a turbulent journey of 12 countries scheduled throughout the summer months, the annual KF assault of the globe continues with locations ranging from tropical to cosmopolitan and paradise to ghetto! From day time beach parties in Greece to blacked out warehouse raves in USA, the Kidd is packed up and ready to unleash the fury. Whether you kick it in the Sin City of Vancouver or you take a trip to the mediterranean shores of Ibiza.. Kiddfectious Airways will be touching down with its customised G6 to take you on the ride of your life ! Running alongside this global tour we are proud to deliver a 3 mix album headed up by none other than mr Alex Kidd himself hand picking the biggest anthems which will be the soundtrack to your summer clubbing experience. Rising star Argy steps up for mix 2 delivering his cutting edge tech mashed u sound with new kid on the block In2ition on mix 3 with his debut mix album featuring lots of unreleased material from one of the budding producers on the scene. Dont miss out on the most essential hard edge album for your summer travels!